New scion surname adopted in 1381 with birth of Richard, who was given his Mother`s maiden name; Shireburne becoming his surname rather than his fathers family name Bailey. Sir Richard Shireburn, the son of Richard de Bailey and Margaret Shireburne was born Oct 12, 1381 and died May 1441 at age 60. Married Agnes Harrington 1391 when he was 9 years old. He was a Knight of the Shire of Lancaster and is entombed in the Shireburne Chapel at All Hallows Church, Mitton commonly known as Mytton Church. He was given his mothers surname Shireburn rather than his fathers Bailey. Being of the paternal Bailey line he was the 4th. great grandson of Otto de Mitton. Otto`s ​immediate family then began to use the surname Bailey after their manor granted to Otto de Mitton by his older brother Hugh de Mitton circa 1200. The Normans frequently adopted surnames after manor lands or locations. His son is the next Richard Shireburne (2) and lived until 1494. He was married at 12 years old and lived at Stonyhurst. He is also entombed in this chapel. The Shireburn chapel at All Hallows, Mitton. Sir. Richard Shireburne is the next de Mitton-Bailey descendant. Not much is known about him except for a number of legal issues which occurred in the neighborhood. Hugh Shireburne was his heir and added to Stonyhurst in the reign of Edward III. Hugh died in 1527 and left his estates to Thomas Shireburne. Thomas had trouble with the law regarding hunting. Richard Shireburne then held Stonyhurst for 57 years. He fought the Scots and was knighted. Married at 15 and a Catholic but friendly with Henry Vlll, Edward Vl, Queen Mary and Queen Elizabeth. 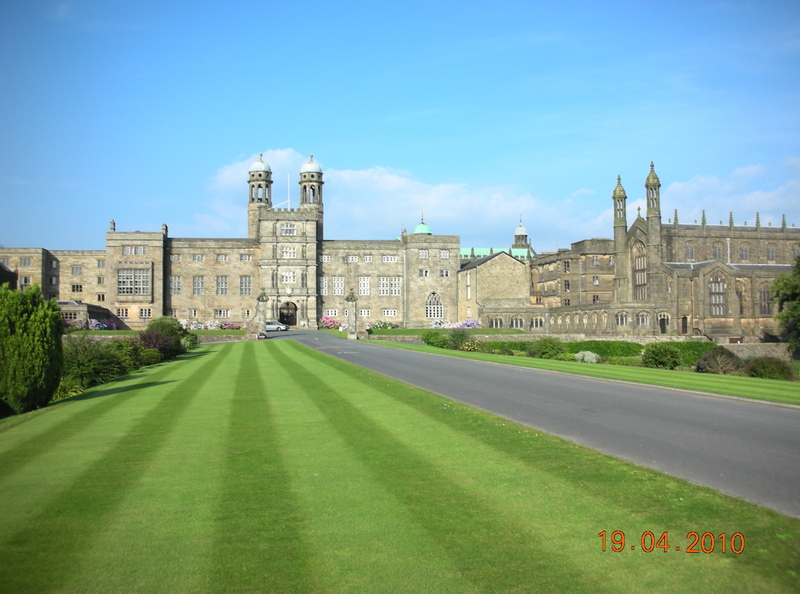 He was a Member of Parliament and rebuilt Stonyhurst on a “Grand Scale”. Richard built the Chapel at All Hallows at Great Mitton where, over the west door, are the Quartered Arms of Shireburne and Bailey from 1594. He was succeeded by another Richard Shireburne who also governed the Isle of Man. Married three times to devout Catholics, he continued to build at Stonyhurst. He died in 1629 and was buried at Mitton. Next was Richard Shireburne during the time of Cromwell. He was a Royalist and supporter of King Charles l. He died in 1667 at the age of 81 years and was buried at Mitton. He was succeeded by his only son Richard who supported the Catholic Stuart James II in 1688 and was put in jail, but was later buried at Mitton. Another Richard Shireburne died in 1690 after only two years at Stonyhurst and is buried at Mitton. Then three successive Richard Shireburnes died in 1667, 1689 and 1690. They are all buried at Mitton. 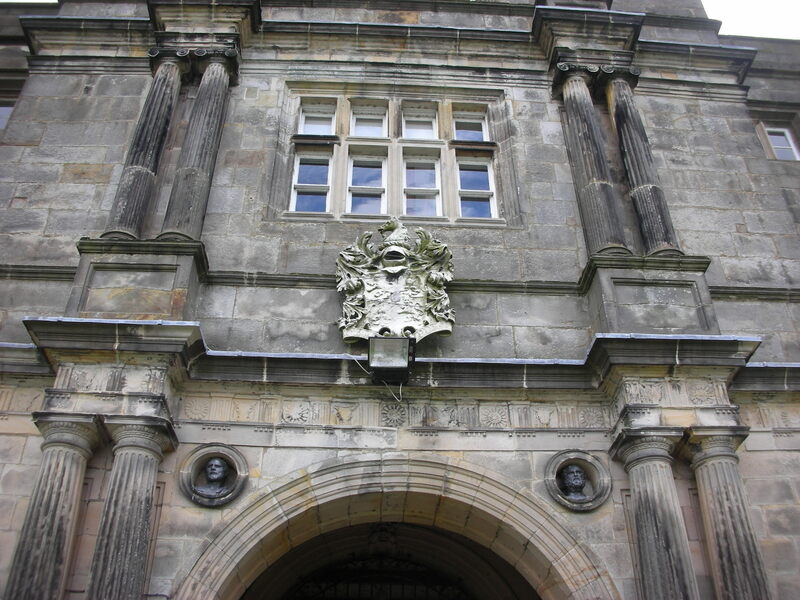 The entrance to what is now Stonyhurst College, built on land that once belonged to Ralph the Red. Sir Nicholas Shireburne was the male successor in 1690 (his older brother Richard died). He married Catherine who was an heir to both her mother and father’s separate large estates. Sir Nicholas spent a lot of money on Stoneyhurst. His only son and the last male heir died in 1702, aged 9, and was buried at Shireburne Chapel. Sir Nicolas was a staunch “Jacobin” Catholic. His daughter and only surviving child Mary Winifreda married the 8th Duke of Norfolk, Thomas Howard 1683-1732, a prominent Catholic when she was 16 years old. 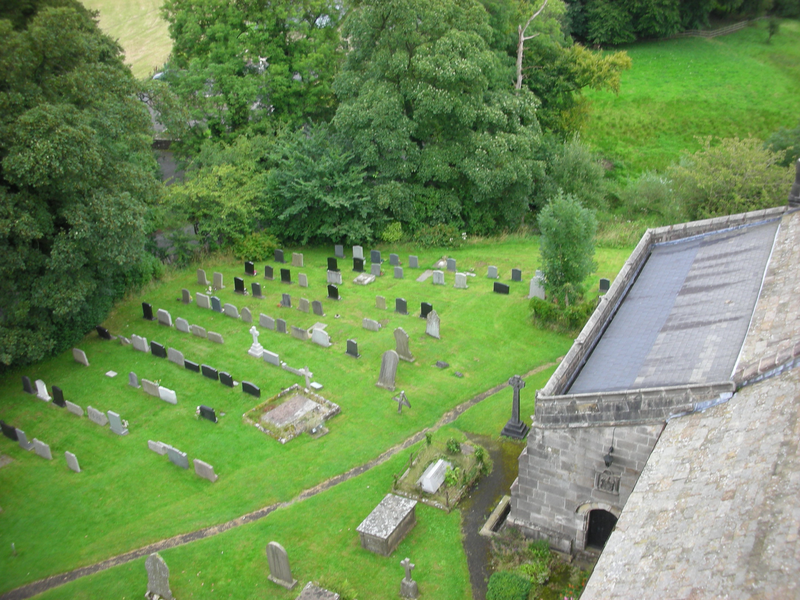 The cemetery next to Mitton Church showing the roof of the Shireburne Chapel, completed in 1594. 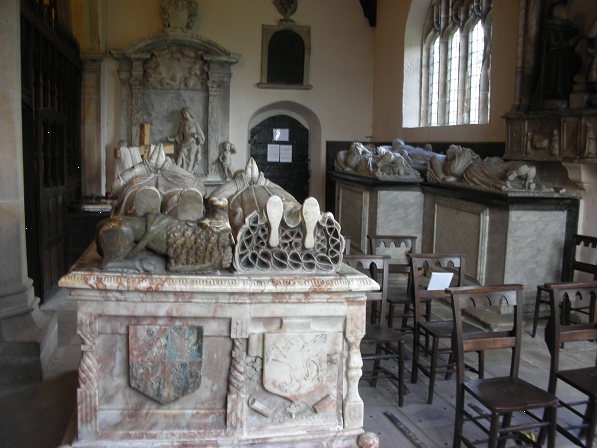 The Chapel inside the church contains the Shireburne effigies and tombs. The Shireburne`s are all descendants of the de Mittons on their father’s Bailey side of the family. The Shireburne coat of arms can be seen on the outside wall of the Shireburne Chapel above the door and is a combined Bailey Shireburne one. Shireburne family chapel at Stonyhurst. 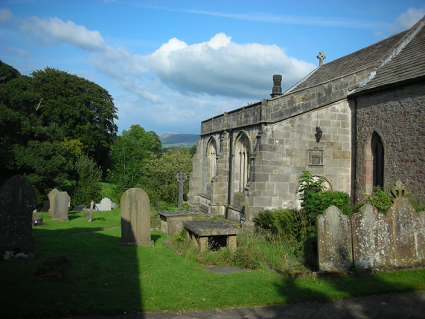 The family choose not to be baptized, married or buried at this chapel on the families Stonyhurst grounds. All such family rites were at Mytton Church with sometimes a Catholic priest brought in for such occasions.